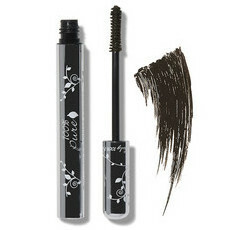 The 100% Pure Black Tea Mascara in Blackest Black is an all-natural mascara that lengthens, separates and glosses lashes. Naturally coloured from Black Tea leaf pigments, Cocoa and Blackberries, this delicious smelling mascara is packed with healthy lash loving ingredients. 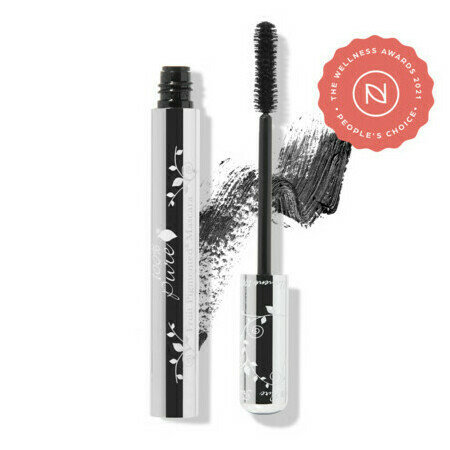 It also contains conditioning ProVitamin B5 and Vitamin E. This gentle smudge resistant mascara is suitable for everyone, including those who wear contacts or have sensitive eyes. Made in California. 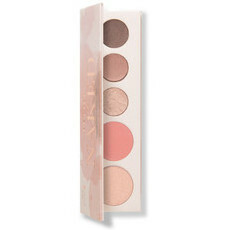 Certified Cruelty Free by both PETA and Leaping Bunny. Packaged in post recycled plastic/glass and printed with biodegradable soy ink. Beeswax, Blackberry, Black Tea, Nettle. 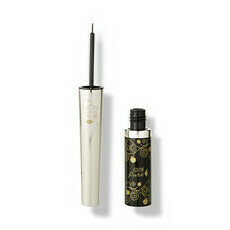 Hold the mascara wand flat against the roots of your lashes, wiggling upwards to the tips. Apply second coat if desired. Continue to apply until desired length/volume is achieved. For added length, curl lashes with an eyelash curler before applying. I just LOVE this mascara. It curls, defines and lengthens like no other. Love the gently scent as well. I bought this after using common supermarket brands for years after I noticed my eyelashes were falling out more than usual. Since using this product my lashes hardly ever fall out and the product itself is so nourishing and hydrating. It does smudge on the rare occasion so find using a light bit of powder under my eyes works a treat. 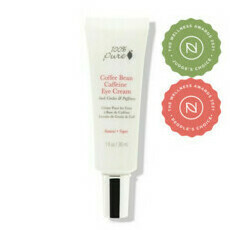 Saw this product for a little while on Nourished Life but always hesitated to order and finally did, thank god! Smells literally like blackberries, and really help getting my lashes longer, blacker and well separated, a must try!